‘camexpo’ newsletter features my article: Are you converting enough beta carotene to Vitamin A? 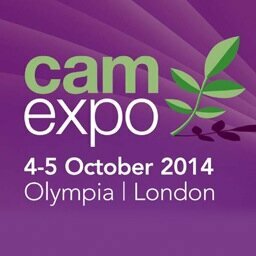 ‘camexpo’ is a yearly two day event at London’s Earls Court / Olympia complex. It is a dedicated to the complementary, natural and integrated healthcare sector in the UK and is attended by thousands of practitioners, therapists and students alongside over 200 suppliers and brands. camexpo send out a monthly newsletter to the CAM community, which is a valuable resource to practitioners. I featured in their November edition, asked to submit my article on the problems that approximately 45% of individuals have in converting beta carotene to Vitamin A. This entry was posted in Front Page, Press and tagged Vitamins & minerals. Bookmark the permalink.